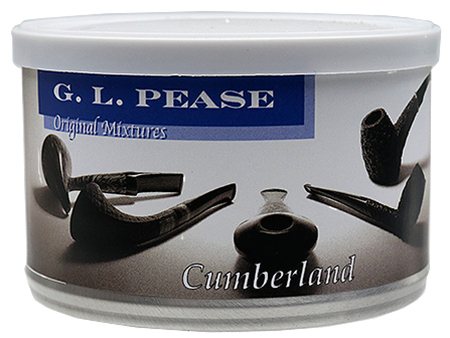 Robust and possessing a subdued sweetness, Cumberland, from G. L. Pease, is a delightfully orchestrated suite of American tobaccos. Red and matured Virginias establish a theme; dark fired Kentucky and a pianissimo of Perique create the variations. Pure, natural tobacco flavors are harmonized by delicate arpeggios and underscored by deep, resonant tones. The coda is lovely and lingering — a perfect finish to a rich performance. Best savored slowly.